Tailgate and cheer on your team in comfort and style in this incredibly soft dolman, short-sleeve top. 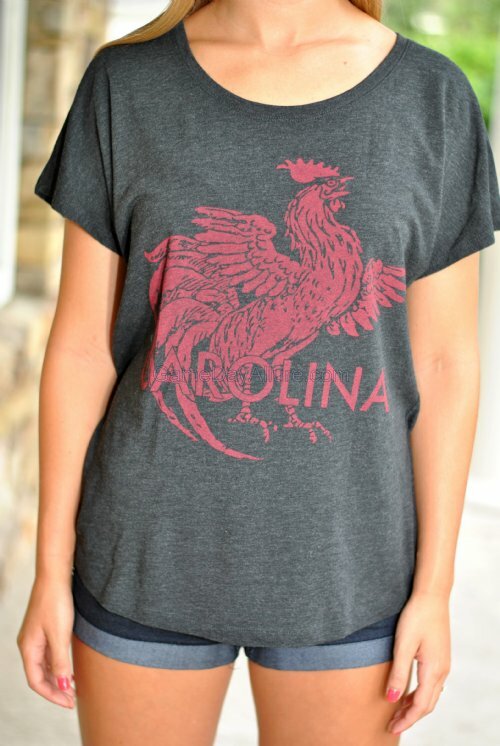 Featuring a custom South Carolina Gamecock design screen print, we guarantee that this drapey, relaxed fit top will be one of the most comfortable in your closet! 50% Polyester, 25% Cotton, 25% Rayon. Machine wash cold.